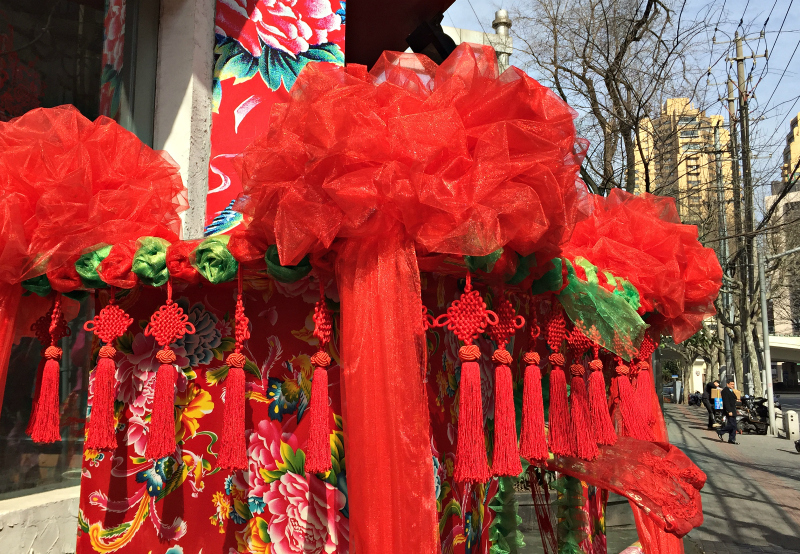 Xin Nian Kuai Le! It's now the year of the monkey, and I've never felt so overjoyed by the lunar calendar, for I really feel the momentum swinging with this monkey year! Absolutely love being here in China and experiencing the traditions and overall positive vibes. However astonishingly, there were NO fireworks... no loud noises... no crackers! The government decided they were to be banned this year and everyone complied. 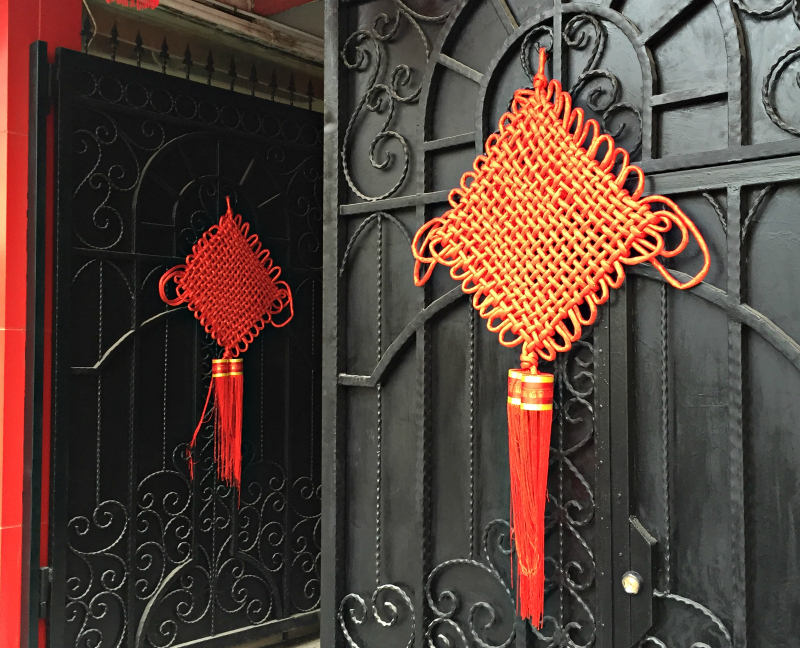 Outside of Shanghai I believe people still celebrated with a traditional bang (the noise scares away the evil spirits! ), but happy new year nonetheless! But after seeing a bunch of the gigantic knots around the city, I wanted to try my own little knots ... and over the new year weekend, I tied a few different knots, and found a gigantic pool of internet knotting resources! So many knots, colour codes but with some Chinese instructions. A big pinterest feed of knots! 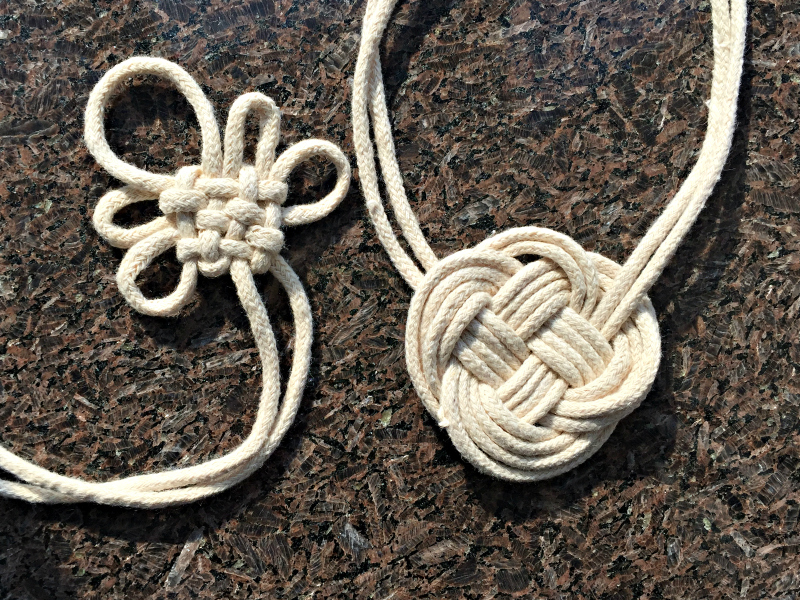 A Panchang Knot, this is one I tried! Chinese Good Luck Knot, tried this one too! Chinese Flower Knot, didn't try this yet. Another Panchang Knot, this was clear to follow. The mystic knot, however this looks the same as the Panchang knot, and this felt slower to make but it's nice as well. A knot necklace, I love this one! It's the celtic looking one here in the photos! 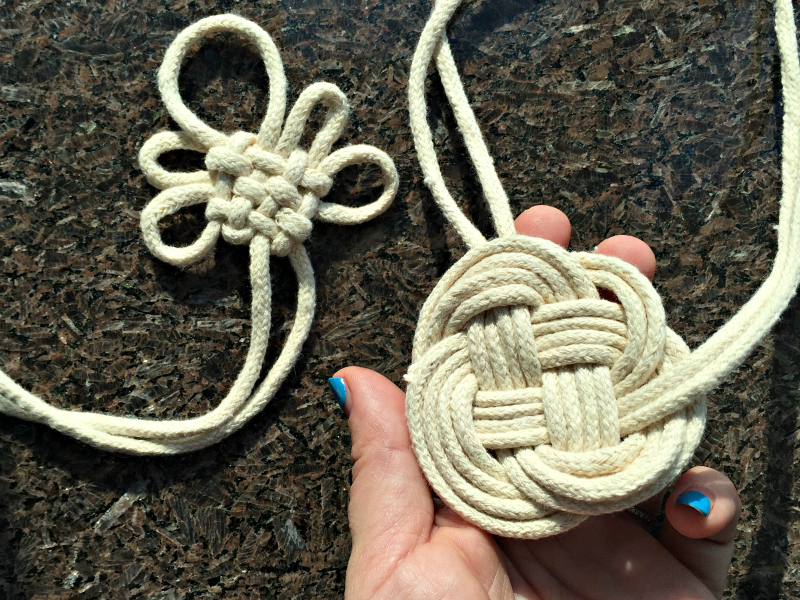 And here's an entire bunch of animated knots, a youtube channel on knotting because why KNOT! Here are some from around town! So while I was off on this knot tangent, I totally missed that today is Lantern Day at my son's school... they all made lovely lanterns at school of course, but last Friday was bring your own DIY lantern... gah! I should have been googling lanterns, not knots! Hope you're well and happy Monkey Year! Do you know your animal sign? Does it mean anything to you? I've also learnt today that many Chinese people love the western horoscopes too... so it definitely all means something here in Shanghai! I have seen many experts making the same types of knots that are meant to be really very creative. I was never having idea that we can make such things from the pieces of ropes.